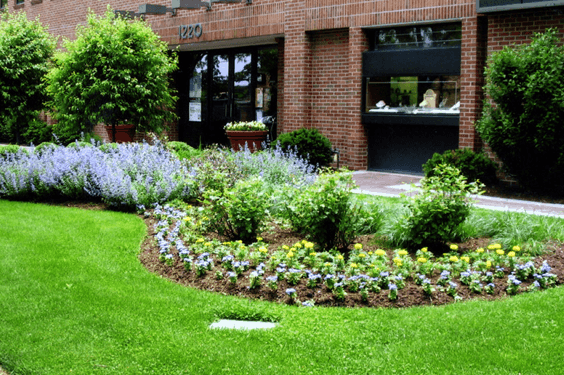 Landscaping can be a crucial factor in the overall appearance and value of your property, adding both curb-appeal and enhanced functionality through attention to detail and expert craftmanship. Our expert landscape designers can help you decide which plants to keep and which need to be removed in order to have the ‘right plant for the right spot’. 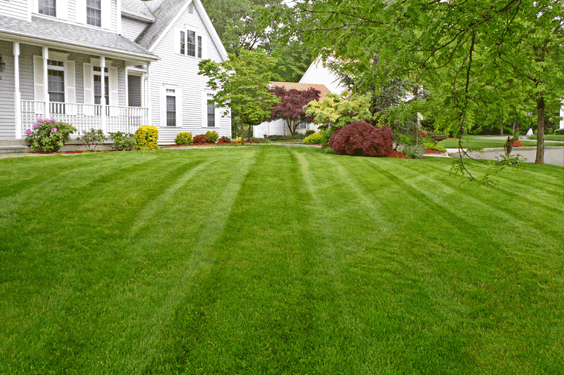 The health and care of your lawn is important to us. 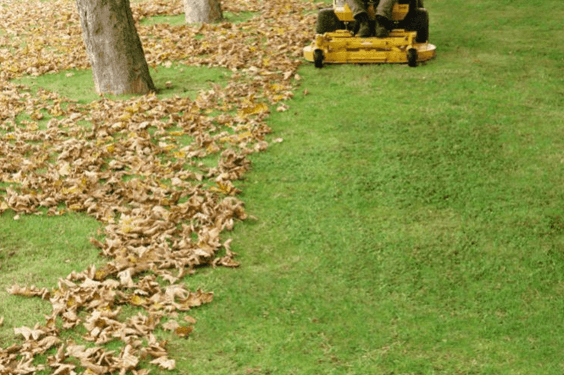 Once a week, depending on the weather, we mow your lawn, neatly trim around obstacles, edge front walks and curb line, pick up trash and blow walkways clean. As professionals, we adjust the mowing height, depending upon seasonal and weather conditions keeping your lawn trim and healthy. 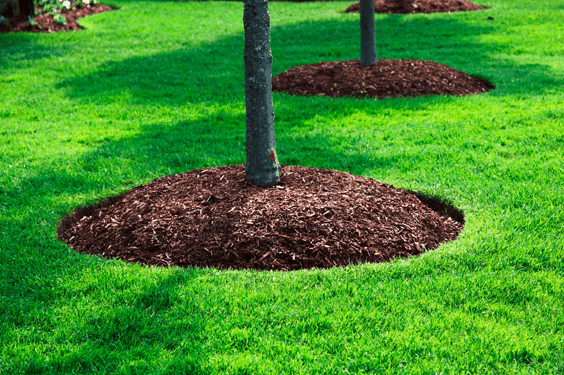 We give properties a finished look with mulch by filling in the empty spaces around trees, shrubs, gardens, and flower bed – adding to your curb appeal. Beyond the aesthetics, we mulch to improve the soil around plants, discourage weed germination and growth, and to help keep your soil moist and temperate during dry stretches. Cleaning up your property for spring is a big job. We do the hard work so that you can enjoy a beautiful, season-ready property without the hassle. We clear away leaves, branches, and clutter – hauling away and composting the debris. We mowing the grass, re-edge and clean up garden and flower beds, and redefine the borders of your lawn. 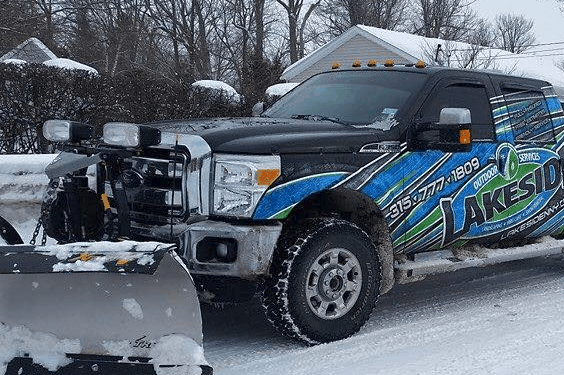 The best in class snow plowing and snow removal services in Northern NY. Digitally dispatched trucks, on time reliable plowing, professional drivers and emergency snow removal services. 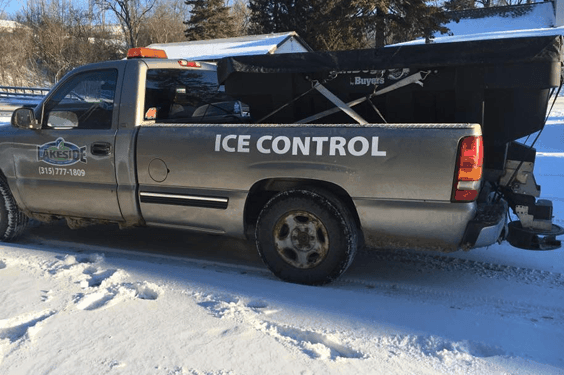 Our dependable team of careful and responsible snow plow drivers will keep your property safe and hazard free, keeping our commitment of getting your driveway or parking lot plowed as soon as possible during and/or after a snowstorm. Snow in Northern New York can accumulate quickly and can stay for a long duration resulting in the piling up on snow and the buildup of ice. 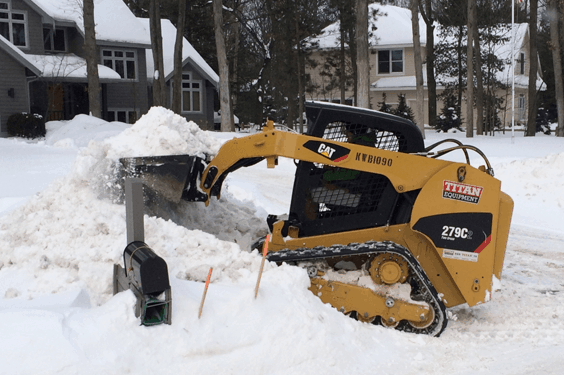 Our expert snow removal team removes the accumulation from the property to improve driving visibility, provide more parking spaces, optimize safety, and reduce the need for deicing applications. We put priority on moving snow outside of business hours for increased efficiency and productivity. Protect and prolong the life out of your driveway by repairing and protecting the surfaces from the harsh northern New York elements. First impressions of your home or place of business are greatly enhanced with a deep, rich, satiny black finish of a resealed driveway.